A lovely sketch to work with was given, and this is what I came up with. DP's from October Afternon and MME, stamps from Waltzing Mouse and PTI, diecuts from PTI and Spellbinders, cardstock, ink, twine and button from PTI, misc. seam binding ribbon, rhinestone and pearl adhesives, ricrac, doily and pins. Beautiful projects! I love it! I've left you an Irresistibly Sweet Blog Award at my blog! This is just beautiful Cathy! 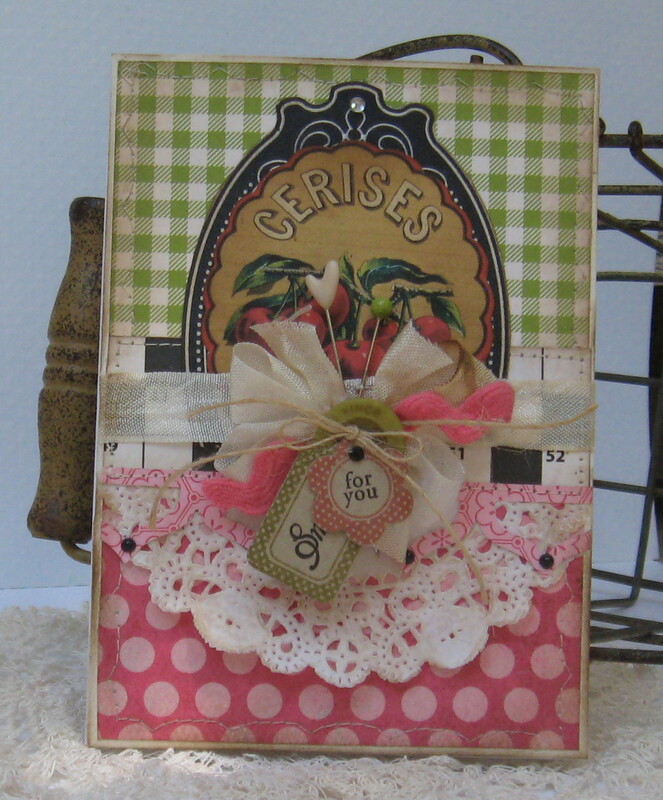 Love your shabby cards! Thank you for joining us at Card Patterns! love this card! So sweet and beautiful.